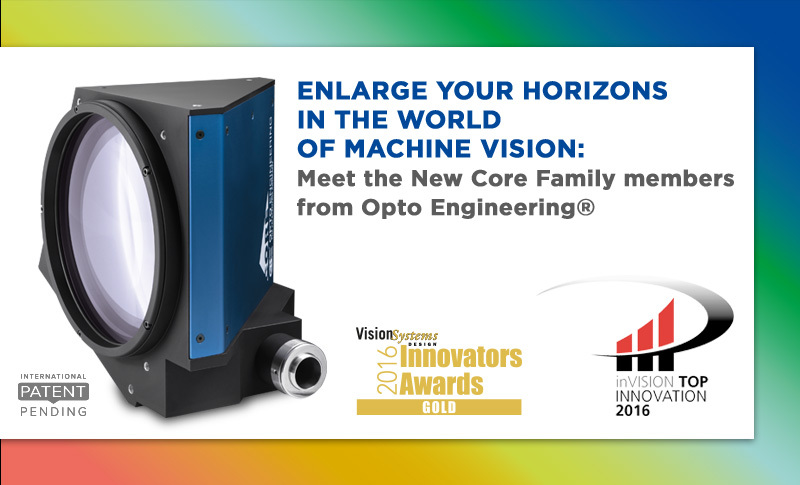 In order to provide you the perfect compact solution when imaging large fields of view, we are proud to introduce the new CORE family members. With the enlargement of three series of telecentric optics – TC CORE series, TC2MHR CORE and TC4MHR CORE series – and a series of telecentric illuminators – LTCLHP CORE series – we have the answer to all your needs. TC CORE lens delivers best optical performances and is up to 70% more compact than a “classic“ telecentric lens present on the market. This is particularly important for large FoV telecentrics, which are quite bulky. Feel free to contact our sales engineers to receive more information. ← At 2018 Taiwan AOI Forum & Show we’ll be presenting our new products, come visit us!